Our premium boutique-style downtown Los Angeles hotel allows you to enjoy all the pleasure, excitement and efficiency of a revitalized Los Angeles. 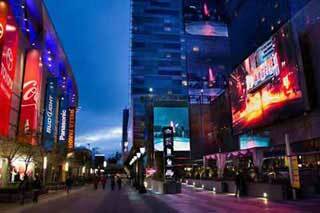 Located near the Staples Center, the Los Angeles Convention Center and LA Live. Our boutique hotel occupies the top three floors of a 12-story historic landmark private club building. In order to stay at the club, guests are enrolled in the Olive Club membership. The $25 membership fee is included in your first night’s room charges. Membership rules apply. Please note that public accommodation standards do not apply to private club facilities. Contact Teri Onorato at with any questions or requests. The Los Angeles Athletic Club is a historic private club. When staying in our Boutique Hotel, you will receive our exclusive Olive Club membership, which allows you to enjoy privileges throughout our 12 floors that will delight and fascinate you. 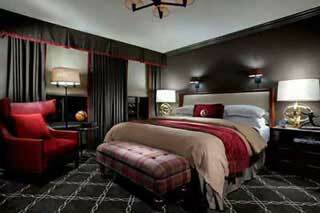 Atop the club, the hotel has oversized luxurious rooms, including nine one-bedroom suites. Guests of our downtown Los Angeles hotel can enjoy all the perks and amenities of a member including access to four floors of athletic facilities. Stay in shape during your stay with group exercise classes, personal training, indoor pool, and sports courts. Other benefits include a climate-controlled walnut wine cellar, a sports bar, restaurant, main bar, snack bar and rooftop with a 360 view of Downtown Los Angeles. Interested in becoming a member? Please contact (213) 625-2211. For over 130 years, the people of Los Angeles have chosen the Los Angeles Athletic Club as a place to celebrate their social events. Whether you are planning a wedding, business meeting, seminar, award presentation, dinner gala or other private events, we have a diverse number of options available to accommodate your needs. The classically elegant and spacious Centennial Ballroom is the perfect place for gala dinners, wedding receptions or main events with its wood-paneled pillars, high ceilings, and artistically-decorated walls. If you’re looking for all the luxury services of a club during your stay, book a room at the Los Angeles Athletic Club today! We look forward to serving you as our guest. Our detailed restoration of the historic porcelain tile floor and walnut wood-paneled walls have been completed, and the restaurant is open for breakfast and lunch. Famous Players offers members and guests a relaxing, upscale bistro setting. Our spacious restaurant, graciously styled with traditional French windows, wood-paneled walls and pillars are available to you. 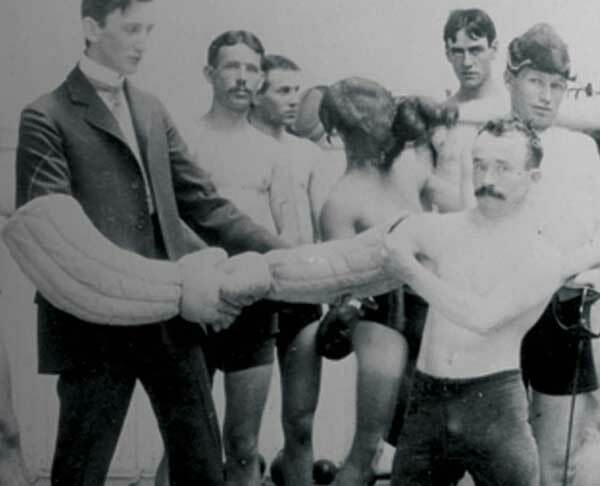 For more than 125 years, The Los Angeles Athletic Club has remained dedicated to its mission of providing for the body, mind, and spirit of its members. Our private club includes state-of-the-art athletic and spa facilities, award-winning restaurants, bars, luxury meeting, conference, and hotel rooms, and an array of social, business, and athletic events. The Los Angeles Athletic Club (LAAC) was the city’s first private club. Founded in 1880, when Los Angeles was a town of only 11,000 people, and the preferred mode of travel was the stagecoach, LAAC joined a downtown core of businesses that included saloons and shooting galleries.